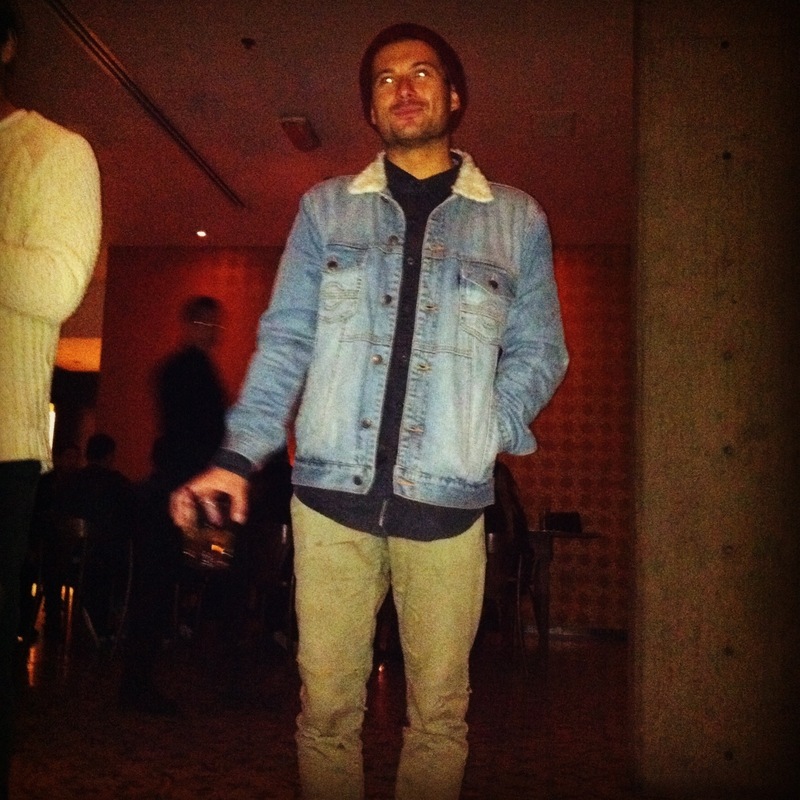 Aussie Dion Agius was rocking the double denim last night at Palihouse in West Hollywood. The surfer/photog is seen here in a vintage jacket Globe button up and Globe jeans. This entry was posted on Sunday, February 26th, 2012 at 3:23 pm	and tagged with Canadian Tuxedo, Denim, Dion Agius, double denim, Fashion, Globe, Palihouse, West Hollywood and posted in In The Wild. You can follow any responses to this entry through the RSS 2.0 feed.